Some Australian Stampin' Up! 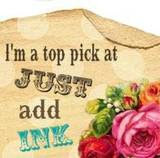 Demos have got together to create a blog dedicated to using Stampin' Up! products in our scrapbooks. Go check it out here and they have some pretty cool ideas and gorgeous samples. Each month they also host a challenge. 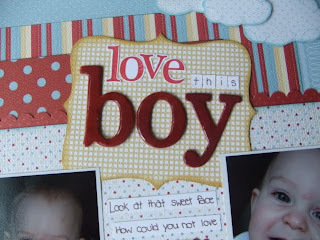 This month the challenge is to use the word "Love" in your layout. Click here to see the challenge post. I have also used a fantastic sketch for my layout by Rachel Ricks over at the Scrappy Side. She has some fantastic layouts on her site. Here is the link to the sketch I used. I loved the little clouds Rachel used on her sample layout so I have used them here to. Thanks for the inspiration Rachel. Deb Godley took these super cute photos of Sam for me and I absolutely love them (and the little munchkin of course). Thanks Deb! What a fabulous page!! WOW!!! THose clouds are super and the colours... sooo cool! WHat a great job on the challenge! Super cute layout and adorable photos! Glad you enjoyed the sketch. Just lovely. I really love the clouds! Oh that's just so fabulous, I love it!! 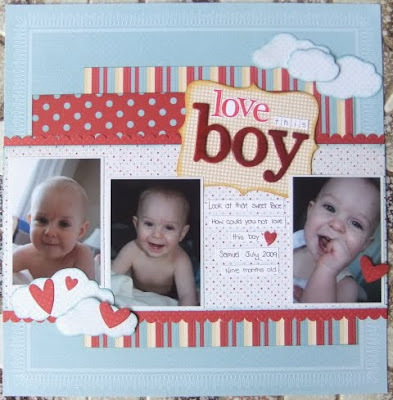 Well done, a great Stampin Up layout and an adorably cute baby! !